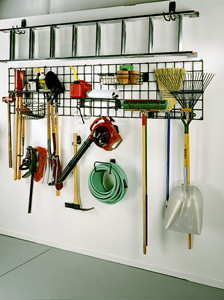 Designed for garage and utility room organization, Garage Logix activity organizers combine innovative style with skillful engineering for superior strength and usability. 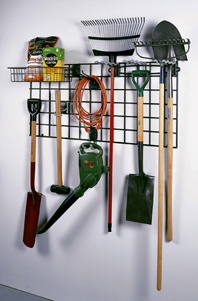 At Garage Logix, we offer an array of different options for storing the miscellaneous items that you want quick and easy access to. 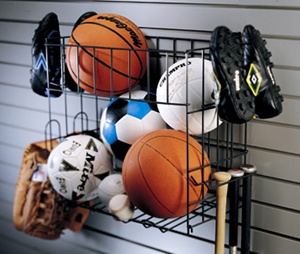 We offer multiple options for storing such items like bicycles, sports equipment, yard tools, etc. An all-steel grid system or sturdy slatwall are just the start to help compliment the un-paralleled craftsmanship of our cabinetry and commercial grade floor coatings. Just call for your free in-home consultation and have one of our seasoned designers recommend their best suggestion for storing your additional items, so that they are convenient and easy to get to. 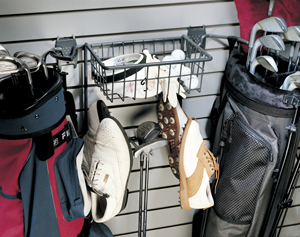 Create the “garage envy” that you have always dreamed of—exclusively from Garage Logix. "Garage Logix came on time, as promised, and did a BEAUTIFUL job. The neighbors are all expressing Garage Envy!" Garage Logix serves Seattle and Puget Sound region. Our garage storage products are made in Washington.